Michael Andrews retired on June 29th, his 59th birthday. Michael spent 30 years in the foreclosure industry. His career started as a courier for TD Service before moving into the posting and publishing world. He posted and cried sales before using his true talent of marketing. He was the top salesperson for Agency Sales and Posting, tripling their business before the company was sold to Fidelity National Title. He also worked for First American Title. 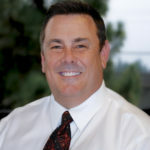 He partnered with Marsha Townsend in 2001 to expand the services of Mortgage Lender Services, Inc. In 2018, Michael and his husband/partner of 41 years, Dan Schubert, completed the construction of their dream home in the foothills East of Sacramento. They plan to enjoy their 5 acre retreat along with their 2 dogs, 1 cat, 12 deer and 30 turkeys.